Chess master who claimed he studied chess six hours a day, 300 days a year. Another 60 days he spent playing in chess tournaments. The remaining five days he rested. He never ate in public and would not shake hands for fear of germs. He was so paranoid that if a stranger came to his door, he would jump out the window. In 1912 he won five consecutive strong tournaments in one year (Vilna, San Sebastian, Breslau, Pistyan, and Warsaw), a record which has never been surpassed. During World War I, Like Lasker, he invested all his money in German War bonds. He beat Capablanca, Alekhine, and Emanuel Lasker the first time he played them in tournament play. In 1911 at San Sebastian he complained of a fly which kept settling on his forhead and breaking his concentration. After he won the tournament, the tournament director, Jacques Mieses, took him to a leading psycho-neurologist at Munich. The doctor examined Rubinstein and said, "My friend, you are mad. But what does it matter? You are a chess master!" Rubinstein imagined noises in the night: knockings on the walls. He once burst in the room next door and tried to stangle Richard Reti, believing he was the source of these strange noises. He spent fours years hiding in a sanatorium in Belgium during the Nazi occupation. 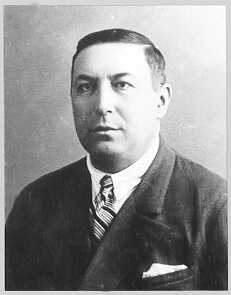 He defeated Alekhine, Lasker, and Capablanca the first time he ever played them. He was the youngest of 12 children. I'm always searching for new data, new biographies, new photos. So, you can write and send me a biography (in English) of your favorite players: share your thoughts with other chess players! If you want to add or change the information about a player, you can compile this form. If you have photos or something else, please send me them. Thanks! Search books about this player at Amazon, the biggest online library.